This charming youth dresser and mirror set is a perfect storage solution for your children's bedroom. 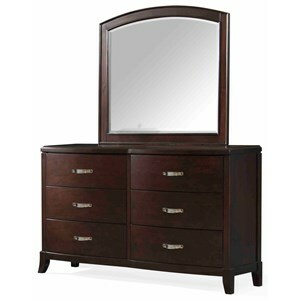 The dresser has glamorous style with diamond cut, crystal-like knobs and silver finished bun feet and trim. The five drawers are sturdily constructed with English dovetails in the front and back and the top drawer is lined with felt to help protect delicate items. The elegant mirror is beveled and has a Bonn shaped frame. 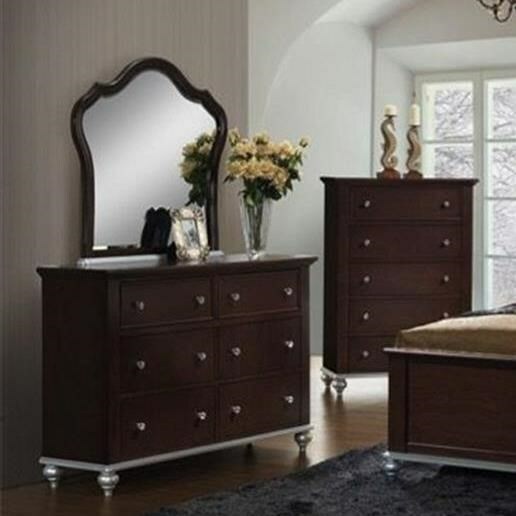 The Allison Glamorous Dresser and Mirror Set by Elements International at Household Furniture in the El Paso & Horizon City, TX area. Product availability may vary. Contact us for the most current availability on this product.